Our cooperative is composed of three generations of women working together. 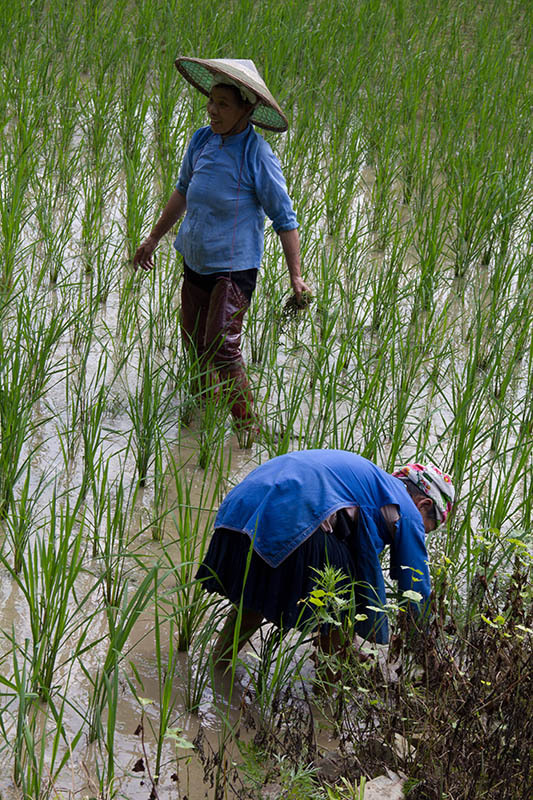 The women work part-time from their homes and take care of their families, household and fields at the same time. Based on the centuries-old model, friends of the artisans come to help with production and the artisans then distribute income based on time spent working. 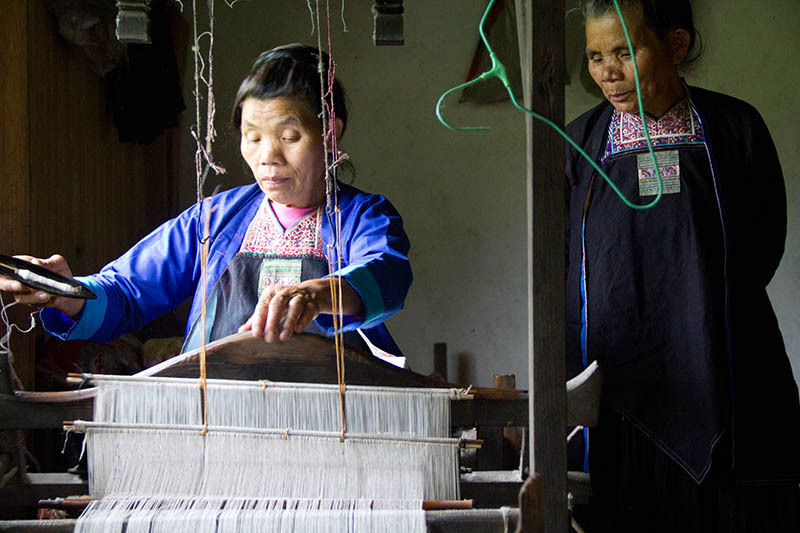 This way, all work gets done in a timely manner and income is distributed through the artisans' family and friends. Then friends come together, they naturally sing while working. Sometimes the artisans sing songs composed by their village song master. More often, they make up words and tease each other in long conversational songs. Just imagine singing to your friends instead of talking. The first round of production has been created by Wu Mengxi, Wu Huazhuan, Wu Xuemei, Wu Xihua, Wu Dehua, Wu Luqian, Wu Lianjian, Duan Caiyun,Wu Xiangfan, Wu Yinnong. 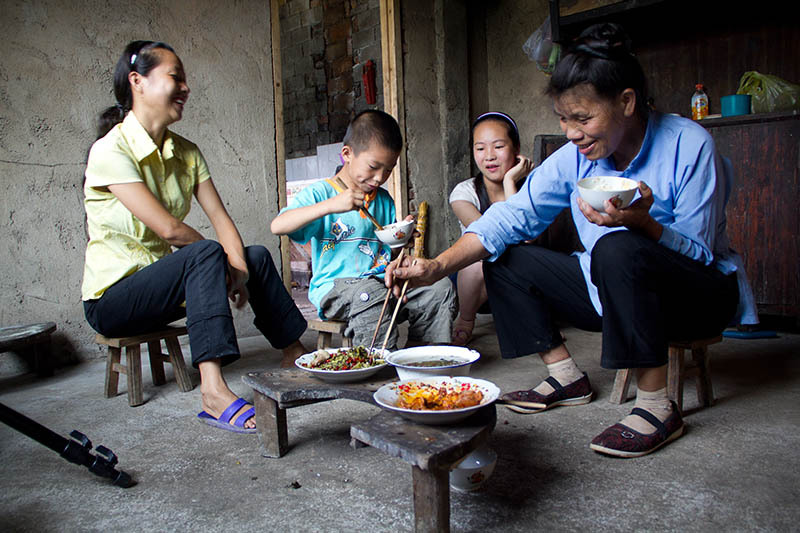 Wu Mengxi is a mother of five sons and a corrageous widow. 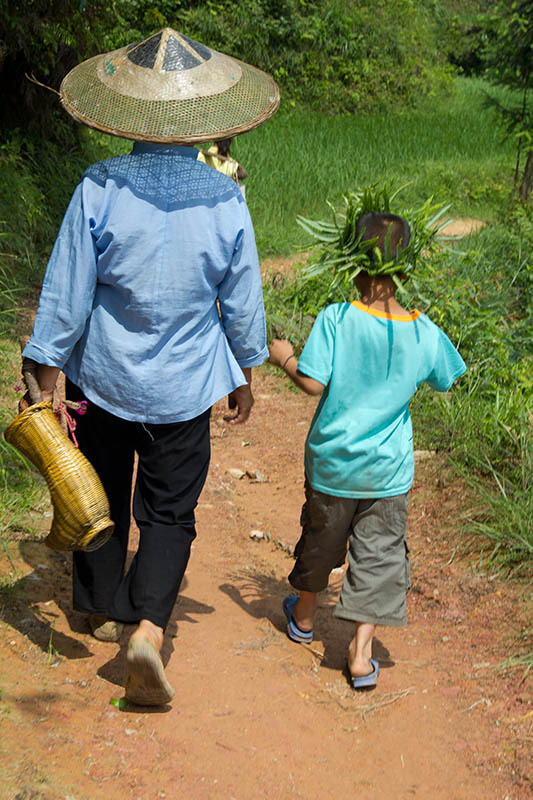 As only two children were allowed to farmers, her family had to pay a high fine for the additional three sons. They were also never eligible for land when they reached adulthood. Her husband died when she was only thirty nine. Still, she managed to raise her sons and send them to school. 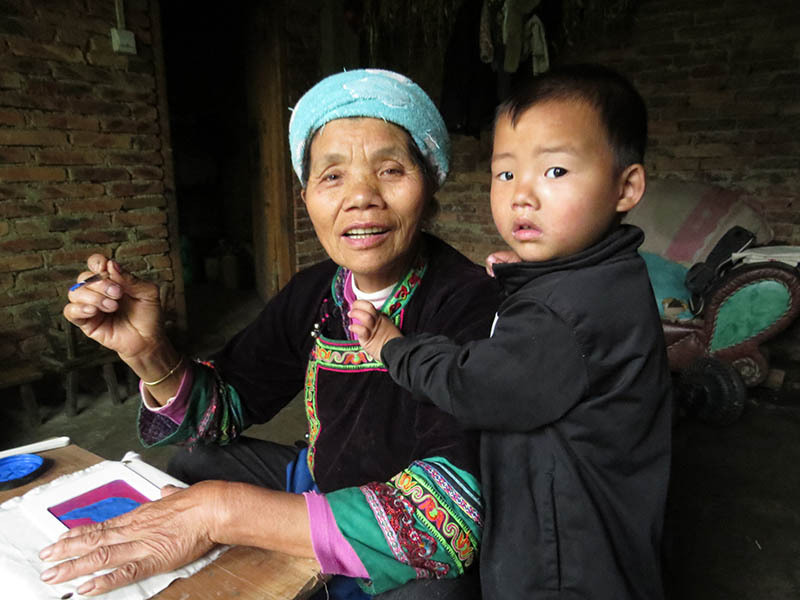 Now in her mid sixties, she still takes care of the family fields and takes care of her grandchildren. She also takes up seasonal jobs like sidewalk construction, moving heavy flat stones, or gathering garbage. We are hoping that with income from making the products, she will be able to give up these side jobs up to make comfortable living. Mengxi's mother passed a love of singing to her. She has won regional awards and has been teaching traditional songs to local children and participating in a choir of elderly women. Her father was a shamman who taught her to draw and cut traditional motifs. 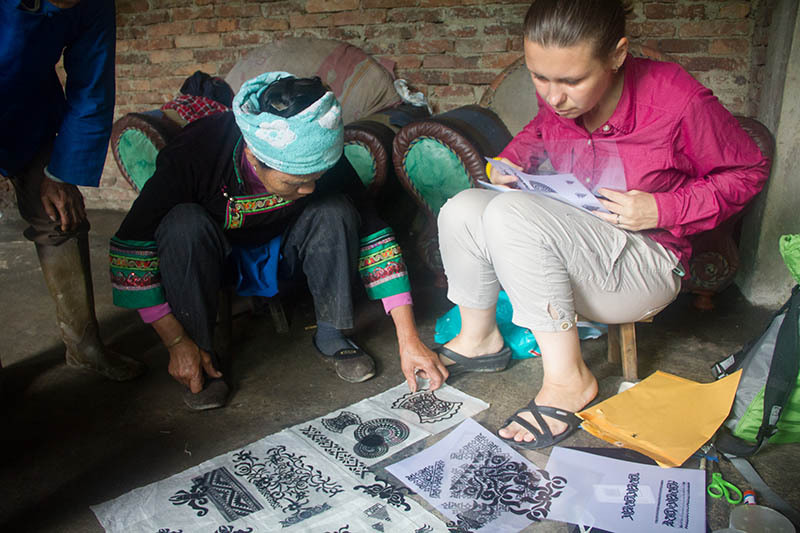 Mengxi and her younger sister are the only ones in the village who still know how to do so and can make new paper cutouts for other women to use for embroidering traditional attire. Many of our motifs come from her family's collection. She was the first to share our vision of extending the quality of traditional crafts to contemporary items and worked on developing early prototypes that eventually gave birth to the first products. She was excited to involve her family and closest in the cooperative. As she never had daughters of her own, she now has a chance to pass on her skills to the younger generation. 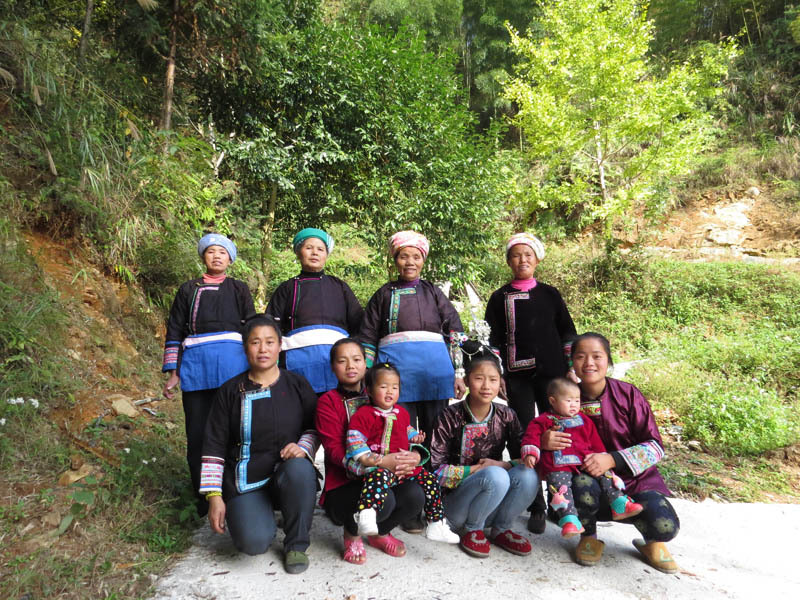 Her daughters in law and the oldest grandaughter are now apprenticing with her. 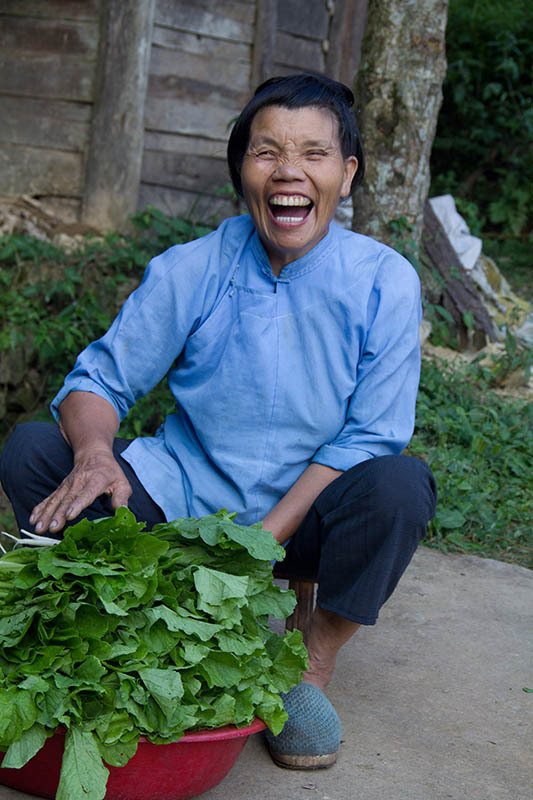 Her open and caring heart has earned Mengxi a position of trust in the village. With her guidance, we will open a women's community center once we are a little bit established and support it from the cooperative's profits. We will focus on women's health and empowerment.